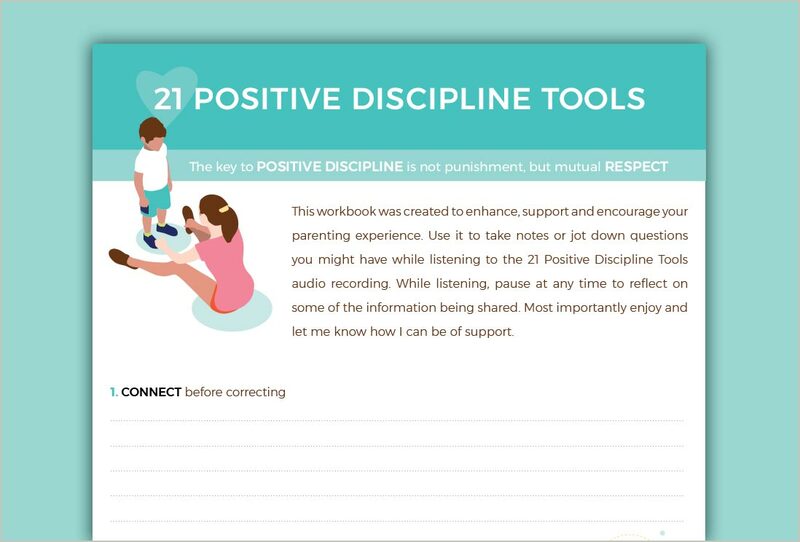 The key to Positive Discipline is not punishment, but mutual respect. 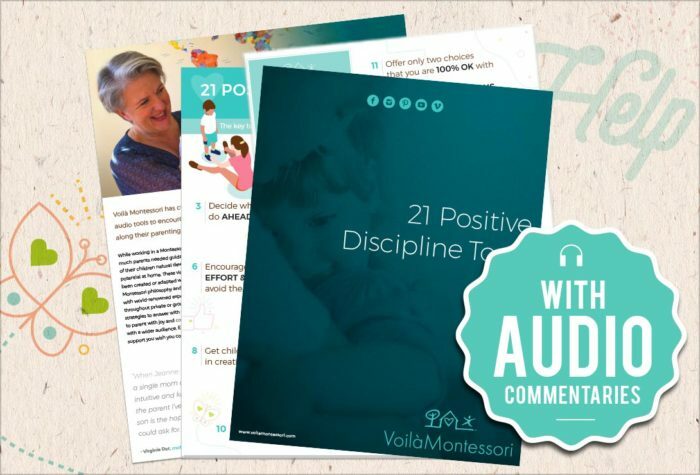 This audio support with commentaries by Jeanne-Marie will guide you to apply all 21 tools immediately giving a supportive road map for a positive and cooperative relationship with your child. 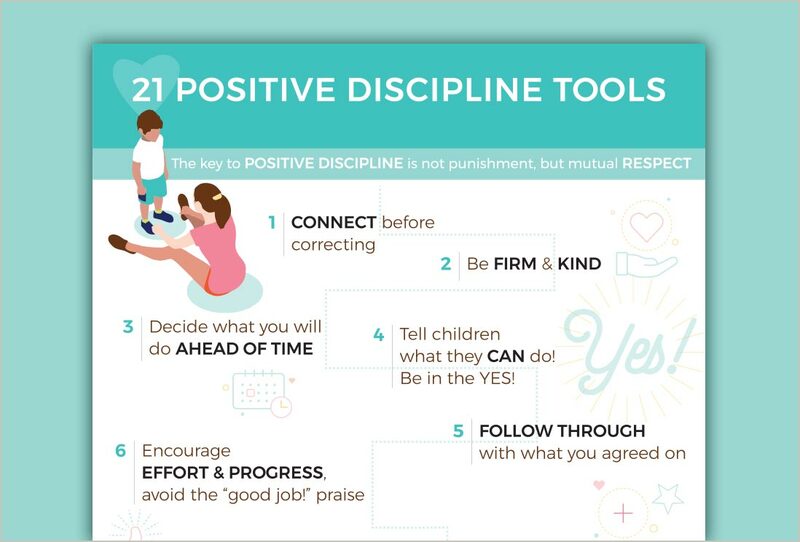 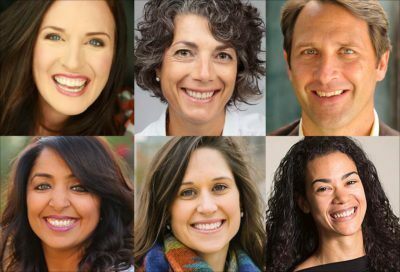 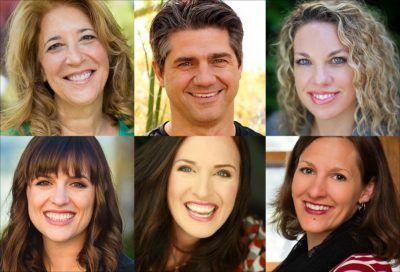 Experience immediate results with these simple and mindful strategies. 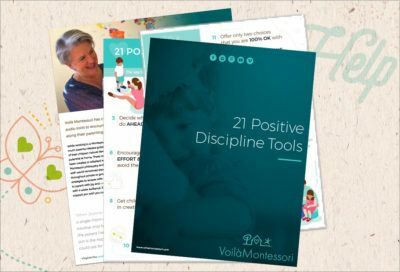 An e-book with 21 Positive Discipline tools (.pdf), a workbook (.pdf) plus additional tips, an audio support with commentaries by Jeanne-Marie Paynel explaining how to implement these tools to get the cooperation from your child and a workbook to help you as you listen to the commentaries.